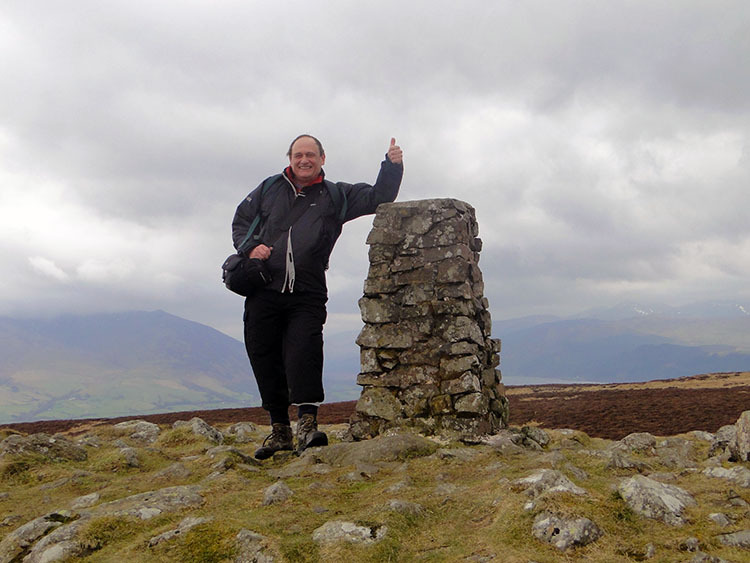 Summary: A walk to one of Wainwright's less demanding Lake District fells which was one of his favourites. Despite its small stature Binsey stands proudly out from the crowds. 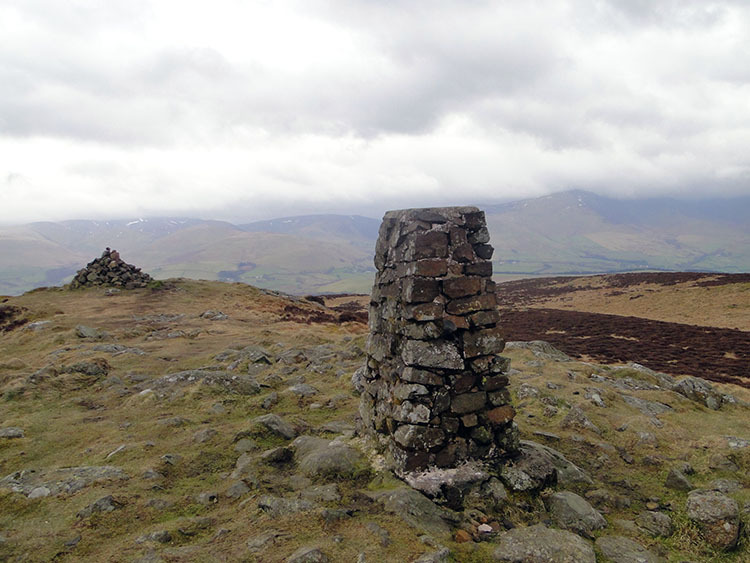 This is a lovely short walk which could serve as an introduction to Wainwright's work. 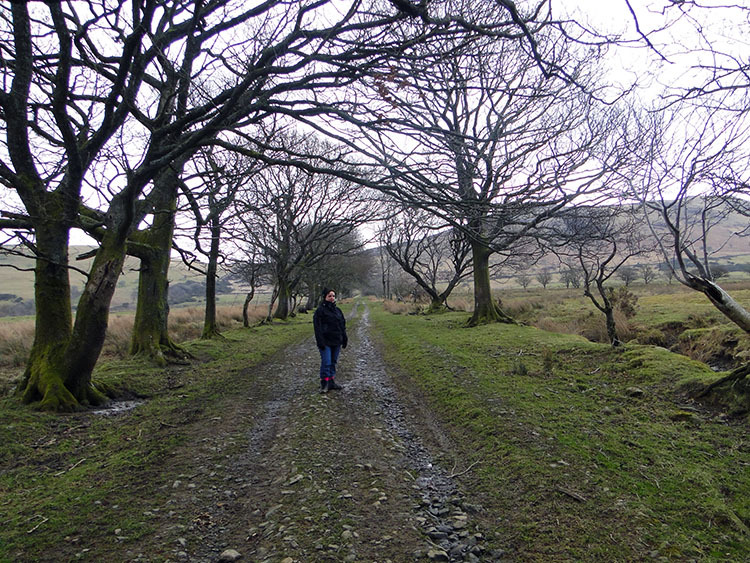 This lovely short walk to one of Wainwright's favourite lower Lakeland Fells was a nice bracing walk but my wife Lil and I both agreed it would have been a lot nicer in sunshine. The walk was my first of our regular Easter Lake District break and being the first Lil had joined me for a short walk. 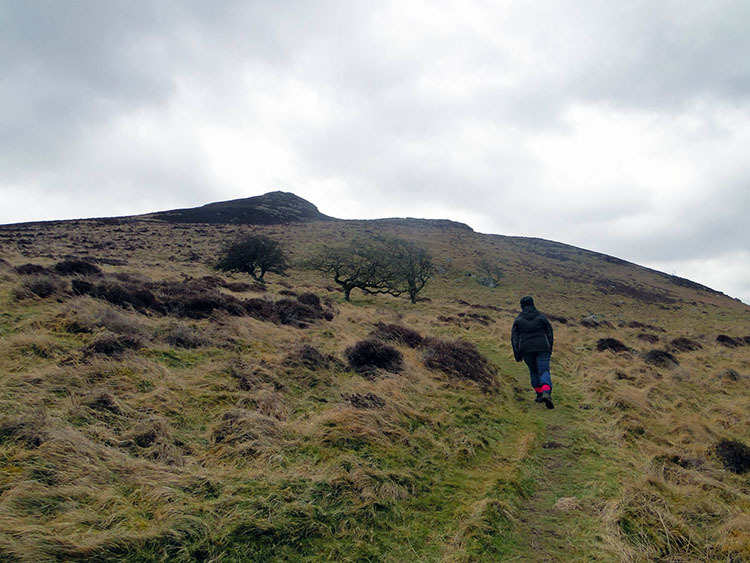 Anyway, I had chosen Binsey for Lil after reading Wainwright's description of the hill. He said "Binsey is the odd man out.. detached and solitary.. generally of benign appearance. Yet it is much too good to be omitted from these pages. For one thing it is a most excellent station for appraising the Northern Fells as a preliminary for their exploration. For another, it is a viewpoint of outstanding merit. For another, it possesses a grand little summit..". This description was enough for me to choose Binsey for Lil's one and only walk of the break. It was just a pity the promised fair weather was 24 hours away. We set off from a side road to a caravan site where we parked the car. After looking right, looking left and looking right and left while crossing the A591 we passed through a gate and made our way up a muddy bridleway lined on both sides by Hawthorn trees. The trees, a week or two short of blossoming in these high parts offered some protection from the brisk cold wind but not much. We were prepared for the walk though, comfortably wrapped up in coats and wearing woolly hats. 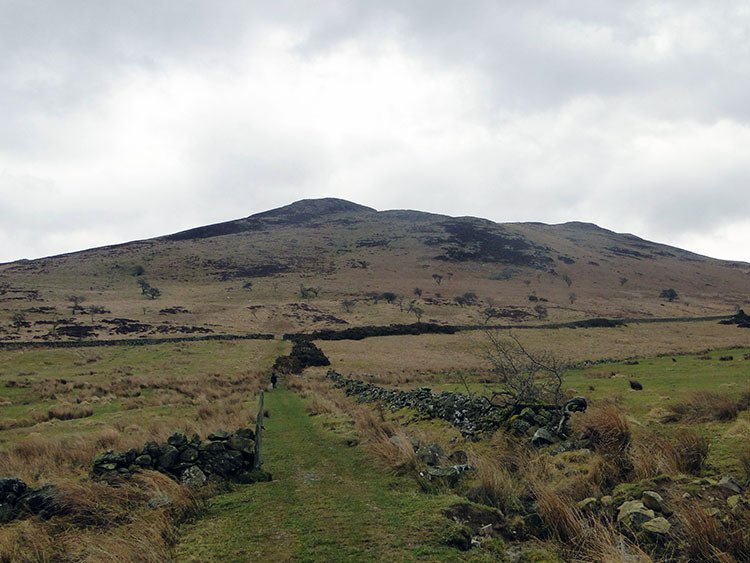 The bridleway gradually petered out and soon we passed through a gate onto Binsey itself. The climbing got slightly steeper on the ascent to West Crag, over 100 metres gained in half a kilometer. At West Crag Lil stayed on the path and I strayed off route to climb the crag and follow a grassy edge towards Binsey Top. A hundred metres or so from the top I rejoined Lil on the true path. 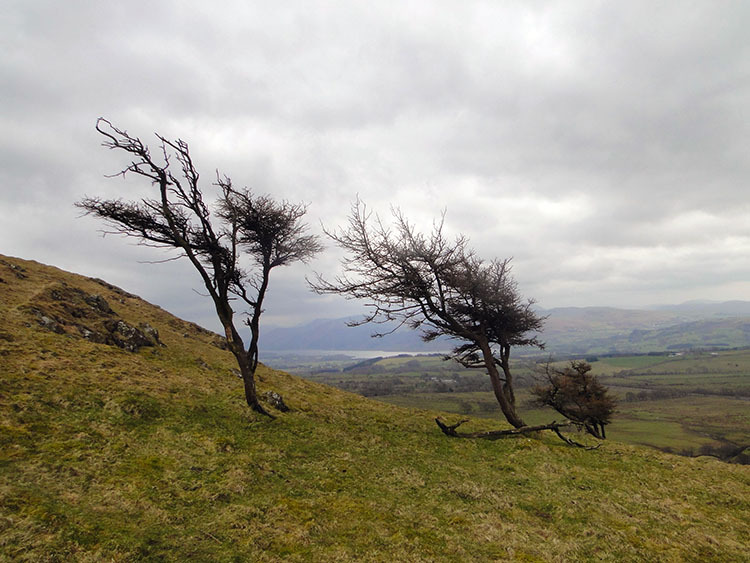 We walked to the summit and with Binsey being an isolated fell we were hit by the full force of the wind. It was difficult to stand straight looking into the wind so we crouched at the trig point and soon dived into the nearby cairn shelter. It was not like the time Wainwright was up here for Binsey is unique in his guides. Take a look at his Book Five - The Northern Fells, and on the summit page you will see a self portrait of the reclusive man with the accompanying text "On the top of Binsey....Prehistoric Tumulus and Ancient Briton" He is dressed in shirt and braces, not as we were in coats, more coats and hats. He was definitely there enjoying the views on a warmer day. At least we had great views too, though I am sure he would not have approved of the growing number of wind turbines stretched across the western horizon, seemingly taking over the Cumbria coast. At least the views east to the Blencathra and Skiddaw massifs were spectacular as were those further distant to the Scafells and the Newlands and Coledale ranges. Even the Coniston range was in view further south. It was for Wainwright, it was for us too. It was worth being buffeted to see the resplendent view. To complement all the ranges, Bassenthwaite Lake provided a wonderful foreground. Lil and I will not forget the spectacular views we were treated to from the summit of Binsey. 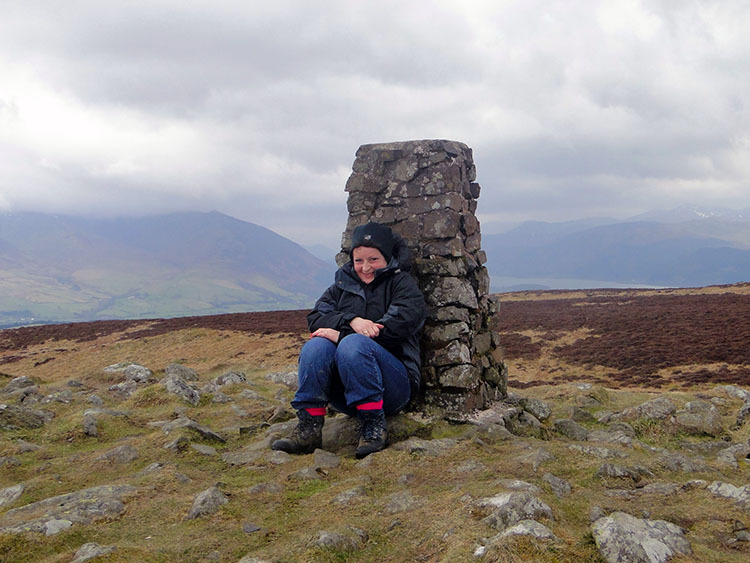 After enjoying the summit views we made our way off the fell but not before Lil had left a stone on top of the cairn. We walked down to West Crag following the track, more or less the same way Lil had came before before taking a path off the fell from West Crag to a gate which gave us access into Whittas Park. We followed tracks in lush sheep managed pasture across Whittas Park to an old chimney. 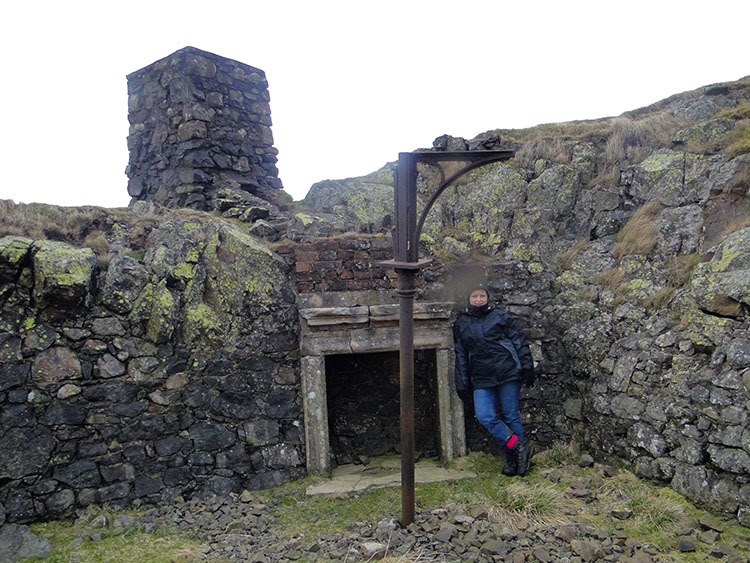 Beneath was a derelict building and the remains of a fireplace at NY206366. We imagined who would have lived here and to how long it had been abandoned. Lil decided it was a little too far gone for a house renovation project! From the old dwelling we followed a track by the side of a wall to a gate and left the field onto a tarmac road. 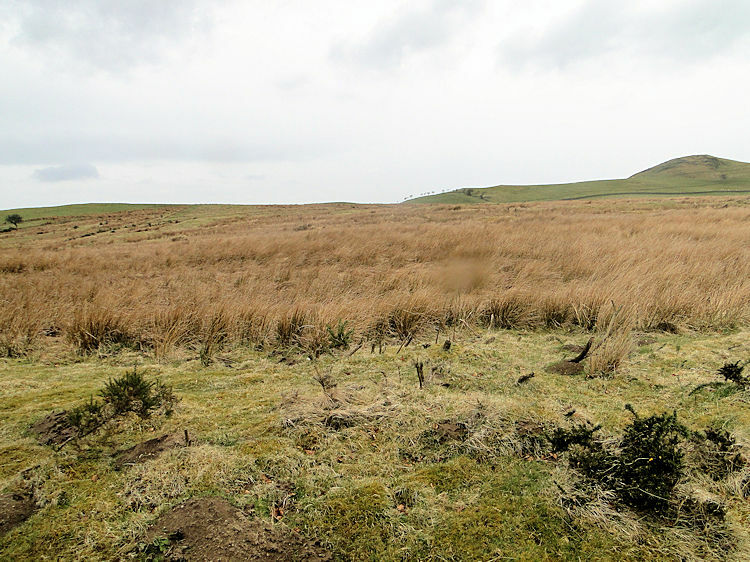 Although the walk back to the car was south we walked north for 100 yards to inspect the old roman site of Caermote. It was clear on the map but we could make nothing out. Disappointed on seeing no evidence of the work of our ancient Latin invaders we walked back to the car on a wide verge by the side of the A591. On the quarter mile it began to rain. 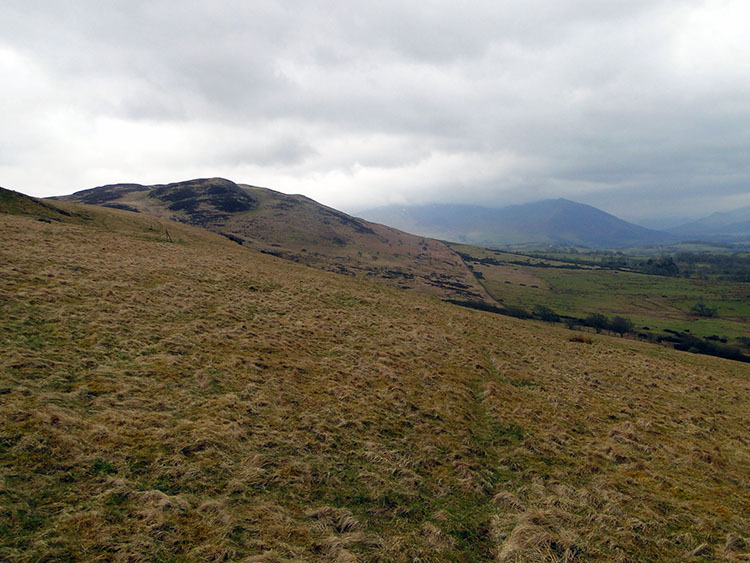 No matter, we were done, we had been up Wainwright's affectionate Binsey and shared the sights he saw previous. It was well worth the effort.